The answer is actually pretty simple. It turns out the bells are a type of internal Morse code for Trader Joe’s employees. Since the grocer has no PA system, it’s the way the TJ’s team communicates. One ring tells employees to open another register. Two rings means there is a question from either a cashier, or customer, at checkout. Three bells signals a manager to come over. Trader Joe’s employees ring golden bells at the cash register. Regular Trader Joe’s shoppers know a lot of things, like how the store has an epic frozen food selection and that TJ’s Speculoos Cookie Butter is a gift from above. However, there’s one aspect about the cult-favorite grocery that even the most weathered TJ’s customers may not know: what the mysterious Trader Joe’s bells mean. You know the ones, the large gold bells with the heavy woven rope. They’re rung by Trader Joe’s cashiers working the registers. You first hear them as you’re digging through the produce aisle or fighting for the last sweet potato. The faint ringing becomes more apparent as you weave your way through the store to the front of the sprawling checkout line. What does it mean?! What do we not know?! 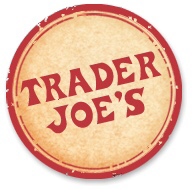 According to the Trader Joe’s website, the tiki-themed grocery store took the idea of using nautical bells to communicate from old maritime traders. A former Trader Joe’s employee on Quora says four rings means “all-hands-on-deck,” and is used when the store is particularly crowded. “Anyone available on the sales floor that is not at a register needs to go and assist a [register],” the user explains. No word on if five bells means anything or not, so if you hear five rings you may want to hit the deck.